Hardwood floor is a popular choice for many homeowners. It’s quite durable and looks amazing with any kind of interior you might want to have to go for it. Still, it is a mistake to think that such a flooring option frees you from the duty to invest care in it. On the contrary, you need to be always careful with hardwood floor, if you want to preserve it. Preventive maintenance is а key – the one thing that can really affect your hardwood floor over time is dust and dirt debris. Even though you cannot see them, all of these fine particles grind into the finish and into the material as you step on them. Essentially, it serves as very fine sandpaper, which is only going to affect your hardwood negatively, if you don’t do some routine sweeping and cleaning. You will indeed be doing your floor favour when you stay on top of vacuuming and sweeping. Remove spills immediately – hardwood won’t instantly stain like a carpet, but it will encounter trouble if you let a spill linger on the material. You need to act fast and immediately soak up any excess liquid from the area, or you risk having to refinish there to remove the stain. Use the proper cleaning solutions – if you don’t want to damage the wood or finish of your floor, you best use only specialised cleaning solutions. Not everything goes, when it comes to cleaning this area of your home. You need a product that has been tested for hardwood so that you can get the best result. Minimise water on the floor – one of the main enemies to hardwood is water. You should not allow water to come into contact with hardwood floor under any circumstances, as the wood can absorb it and then warp or lift. Be mindful of tracking in water with your shoes and for any leaks in your home. When cleaning, make sure you are only using a damp cloth to deal with impurities in the floor area. Use very little liquid when cleaning. A microfibre mop can help you big time with this. Use furniture pads – furniture items can leave a mark on the hardwood floor if you don’t take the necessary steps to prevent this. Placing felt pads on the legs of all furniture items that come in contact with the hardwood surface is very important. This is especially the case for pieces that often move, such as kitchen chairs. Apply hardwood polish on a regular basis – if your hardwood floor has a wax finish, you should apply new wax every now and then, to keep the area looking shiny and new. That way you can remove scratches or other minor surface damage. Be sure to select the appropriate wax product for your floor for the best results. 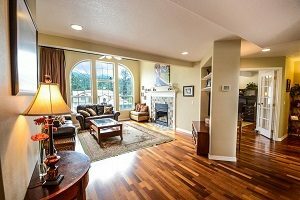 Following all of these tips goes a long way to keeping hardwood floor in top shape at all times. Try them out, and you will see for yourself. 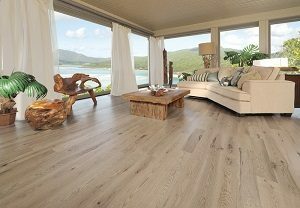 If you wish to find out more about hardwood floors, be sure to check with FK Floor Sanding.